For iTunes senior enthusiasts, there might be times that iTunes won't play music. For instance, songs won't play even downloaded in iTunes. Some specific format songs can not play in iTunes. And you do not know why some songs cannot be recognized by iTunes though in your iTunes library. If you encounter these iTunes won't playing music problems, you will be lucky to find this article. Here are some effective troubleshooting for you to solve iTunes won't play music problem and share you the best iTunes alternative to play music simply. If you are an “Apple” fanatic but feel that iTunes is testing your patience with unknown, unclassified errors, here’s a suitable alternative to iTunes that will play music without any fuss. iTube Studio is a simple yet mind boggling media player that you will fall in love with. It is not only a music player, but also a music and video downloader. You can play downloaded music or import music files for playing with the built-in media player. It is also a music and video downloader allowing you to download videos and music from 10, 000+ sites. 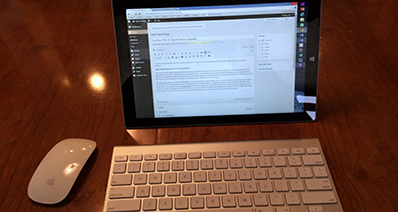 You are able to convert the video to any video and audio formats for playing on any platforms. It helps you to download and convert the videos to your iPhone, Android or any other devices. You can simply download YouTube to MP3 or extract audio from videos in high quality. Step 1: Launch iTube player. Step 2: Go to the "Transfer" tab and click the "Add" icon to add your music to the program. Step 3: When you get your music loaded to the player, right-click the music to select "Play" option to play it. Step 4: If you want to play the downloaded videos, also simply right-click the video to select "Play" option for playing. 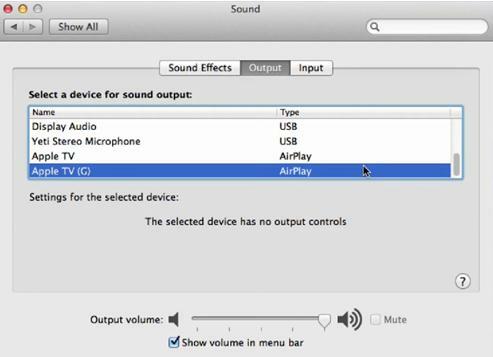 It turns out that while you are using the “AirPlay speakers” to connect the music from your iTunes player to Apple TVs or otherwise, at times the music videos will only play the audio and ignore the video part. Solution: Now, try turning off your AirPlay Speakers so that the only audio output is your Computer. This might sound a bit weird, but should be able to resolve your problem at times. At times the music from your iTunes library will refuse to play when the USB audio devices are plugged in. Solution: In this case, try switching from your USB device to the internal speakers via the ‘Sounds Preferences Panel’. 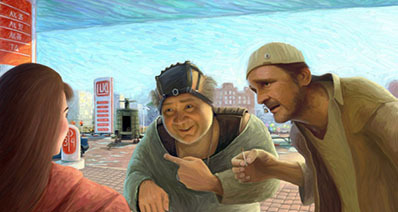 Unplug the USB sound output and try playing it now, it should work! 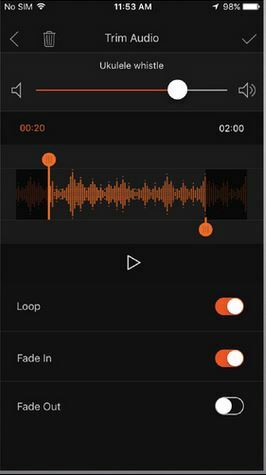 Another trying and testing can be done with your audio settings when you are bellowing on your iTunes to play the song. Solution: Locate the volume control on your Computer, and click on the icon that appears like a speaker. Click on the “Advanced” tab. 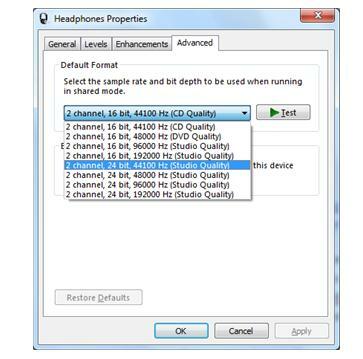 Here, from the drop down list, chose a lower volume setting of “2 Channel 24 bit, 44100 Hz (Studio Quality)”. Now, click on “Test” to check if the sound is audible. Click “Apply” and “Ok”. Shut down your iTunes, if already open and hit it back to action. Your problem should most likely be solved! If you run into trouble while playing music from your iTunes Library on MAC here’s how you can try to take care of it. Solution: Try “Applications > Utilities > Audio MIDI Setup” OR “Window > Show Audio Window”. 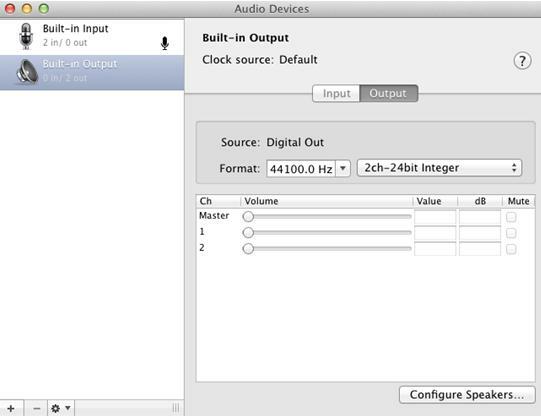 Now either select the “Built-in Output option” OR “your audio device” and choose "44100.0 Hz" from the drop down menu. NOTE: Every time you restart your apple device, the setting might change automatically to "48000.0 Hz". You may have to check the status every time your reboot. 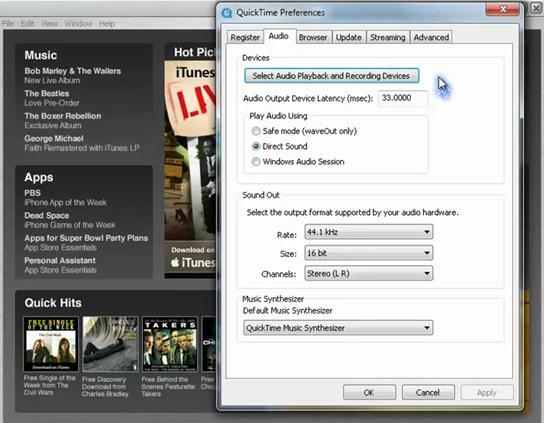 Another savior that will help you play the songs that iTunes has started to ignore on your MAC is the Qucktime player. Solution: Simply start the Quicktime player > Edit > Preferences > Quicktime Preferences > Audio. Here, click the “Select Audio Playback and Recording Devices” tab. You will be interfered with around 4 pops up that you can ignore and just click “Ok” and “Ok” and “Ok” (continue till the Preferences window is closed). Try playing the song now. It will play definitely.